What is CBT Training in Essex? Take your CBT course in Essex and take your first steps onto riding safely on two wheels. Whether your destination is a moped or motorcycle, you will need to gain a CBT bike licence to ride in Essex and the rest of the UK. Essex CBT Training is the requirement by law for any motorcyclist in the UK. CBT Training takes between 6-8 hours on one day and consists of 5 parts. The 5 parts of Compulsory Basic Training, consist of 4 parts of road and the final part being road riding. The requirements needed to meet to take your CBT Training in Essex is to have a valid UK provisional licence or full driving licence or EU Licence with D9 counterpart. On the day of your training you will need to bring your licence, have knowledge of your national insurance number and wear suitable clothing. Suitable clothing is thick trousers such as jeans and boots that cover the ankle. During your training you will undertake a number of checks to begin with such as an eye test, licence check and will start the day with basic maneuvers, like emergency stops. A CBT Test is in fact not a test but CBT training. CBT Training stands for Compulsory Basic Training. The training is taken by fully qualified instructors that aim to make you safe to ride the roads of Essex. Where to take CBT Training in Essex? Essex has one of the most ideal locations for taking your CBT Training, with the mix of rolling landscape, quaint towns and sea views. With over 350 miles of coastline there may not be a more picturesque place to take your motorcycling dream to reality and take in some beautiful scenery at the same time. Close to East London, Grays, right to Southend, RideTo has your CBT Training needs covered. Novice riders will want to ensure that they have the options of local roads that are very quiet to build confidence and become an expert navigator. Basildon is the go-to location for beginners and with an added luxury of on-site shop and cafe, perfect for warming up on those cold days with a strong brew. If location, location, location is what you are looking for, then our Chelmsford site is the option to choose, with all instructors being ex-police officers, your training will be the highest quality with no stone unturned, and set close to the city centre and public transport, makes it the perfect place to take your CBT training. 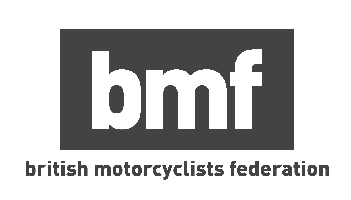 What Can I ride on a CBT Licence? After you have completed your CBT you will be able to ride upto a 125cc moped or motorcycle depending on your age. You will need to display L plates at all times, not riding on motorways or carrying passengers at anytime. If you are looking to ride a motorcycle above a 125cc then you will need to pursue a full motorbike licence. After taking your CBT training this involves two steps. The first is taking your theory test and then your full motorcycle training in Essex. There are a number of great bikes that you can ride on a CBT licence, however, a full A1 licence, A2 licence or A licence will unlock the full power of being a motorcyclist. If you are looking to take your motorcycle licence in Essex then review our 5 step guide to getting a motorcycle licence. What Do I need to ride a bike in Essex? Riding a motorcycle in Essex and the UK requires 3 things; the correct licence, insurance and the bike. The correct licence is covered above along with which bikes you can ride. For insurance we have covered our top 10 tips for purchasing insurance in our blog. Finally, we recommend considering purchasing the correct gear to keep you safe and also riding in style. At RideTo we have also put together a 5 step process to purchasing a helmet.